This entry was posted in Autism, communication, icare4autism and tagged autism conference, autistic, communication, icare4autism conference, Ido in Autismland, Ido Kedar, intelligence, mind/body disconnect, Naoki Higashida, New York City, Parenting, presume competence, The Reason I Jump, writing. Bookmark the permalink. Aw… thanks Carol, happy to hear. Great topic! I did an RPM lesson with several of my clients on this topic. One of the comments that moved me was, “My body and brain feel like strangers who hate each other!” I cannot imagine how very frustrating this must be! Glad you and Emma are sharing this information with others! “My body and brain feel like strangers who hate each other!” – I’ll show this to Emma! Love it! That will be a great topic for the conference! You and Emma will enlighten and educate many! Excited for you both! 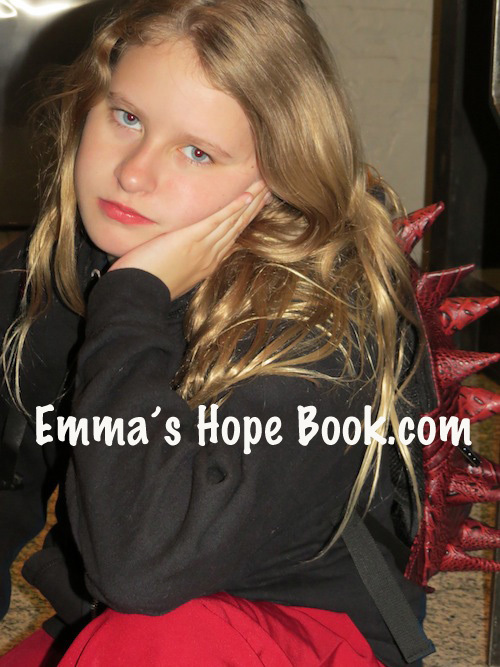 I am looking forward to reading Emma’s thoughts on this! While my son has strong verbal skills, he struggles enormously with impulse control. I suspect that this mind/body disconnect goes a long way toward explaining why he knows and understands what he is supposed to do, and yet can’t stop himself from doing the opposite. I would love to be able to share Emma’s thoughts on this, so his teachers will have a better understanding that he doesn’t just have “behavior” problems. Emma has told me that she wants others to understand, so please do share and if you could just add the link to the blog, we’d appreciate it, so others can share as well. Great topic and title Emma. Looking forward to what you have to say at conference. I can’t wait to share this with my readers! There are some in particular who I hope already read you because they have children like Emma, with the brain-body disconnect, but I keep sharing things like this anyway because I know how excited they will be to read it and I want to make sure all of them find you and Emma. The stories they have shared with me about “discovering” their children are so very exciting to me and so much echo your story of “discovering” Emma. Sometimes I feel like a connecting wire: Emma talks to you, you talk to me, I bring those words to parents who read me and they, in turn, connect with children they had been told by professionals were not “in there.” I love being one of the connecting wires that helps Emma talk to other children through the rest of us. It’s like being a relay in a circuit of love. That’s so lovely to hear, Rebecca. Please come over and introduce yourself, if you attend! One of the first things i typed whe I was young was: my body does not do what my mind wants. This is still true but as I got older, I learned my version of “passing”, which means using a lot of energy to interact, type or anything I need to remain focused. Way more needs to be said about this, I think before people start understanding. Do you have a link to the piece(s) you’ve written on the topic so that I can share? This should be part of every conference! Thank you for the link Amy 🙂 now you have the bothersome job of moderating a comment lol. Very interested to hear more from Emma on this subject – even better (just from my perspective) will be when M can tell us his own experience. He’s an expressive kid in his own way, but I agree that there are those obvious moments when his mind and body are in disagreement, and people see his giggly fits as a sign that he’s not “there” or something…anyway, I’m off to see what everyone says at the triennial/PPT…mood is not good from reading the psychologist’s report. Meeting fun…gl. One school ummmmm forgot (as the non custodial parent only recourse i have is getting a copy…but ADA lawyer called and told them that wasnt acceptable) and other is wed. Went as expected. We’re going up to a new school next year, so I was not planning on hearing anything new, expecting to ignore some of the recommendations, planning on meeting with key people for next year privately – thinking I ought to hand them Ido’s and Naoki’s books as first order of business. Only the school psychologist surprised me by backing up my assertion that M takes everything in and is just unable to express it. Otherwise, was waaaaay wound up and unhappy following…. Over the years, I’ve tried to engage with the other parents in town, by the way, and they want little to do with us. Of all the kids in our town of 5,000+, there’s quite a few autistic ones, and pretty much all of those other kids are quite verbally proficient. M is the only one who isn’t. All I get is the pitying look that they “figured out” how to “get” their child talking and we didn’t. Phooey on them. So looking forward to this one! I know my Sophie has this too. Very much looking forward to learning from Emma. Yes at it’s worse it is like a complete disconnect which is why having some real human reminder can help. Almost as if that harnesses them together although why I am still trying to work out. Through out this extra hard time I have had trouble initiating action but it doesn’t even take someone who knows what I am trying to do to help with that. My autistic friends have had similar experiences or of being able to do things for each other we cannot do on our own. I think between the disconnect of multiple things and that making us seems more unusual than we might want to it is really an underexplored topic. What do you do with that unruly hand that persists in slapping yourself in the head in a d’oh kind of statement without warning? It seems minor but in some settings it is not. People made a big fuss over my poor stage presence when that happened a single time. Although others said they found it a human admission of error when you are performing and screw up the goal is to make it seem like you didn’t and I knew that so adopted a more military pose throughout despite the strain of even standing because it seemed very much like a battle between my brain and body and the human that is me would lose either way. The energy expended to keep it compliant being energy I did not have or in failing the critiques that would roll through the months of a tiny thing forcing you to withdraw further as they cannot understand how hard you tried, at such cost. Great post gareeth. Don’t want to pick out any part of what you have said, as it seems to me that you’ve crawled all over the topic; making observations informed by living through what you choose to talk about. Would it be okay with you, if in discussing with others how we should be supporting particular young people and just why, I made use of chunks of what you here and elsewhere say. Thanks for that permission gareeth. Rambling is good: it sees an addressed landscape covered with the senses; and not just viewed from normative pathways and with conventional mapping. Hoping it goes well, and looking forward to learning about what happens! Aw… that is so thoughtful of you. Thank you! Yep the mind body disconnect thing is soooooo frustrating I can’t imagine not being able to talk at all for my whole life!!! !